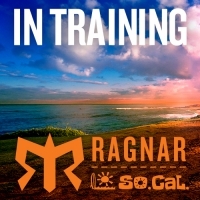 The Green Girl is preparing for her fifth Ragnar Southern California relay with her team 'The Green Team'. I suggest wearing your your initial running outfit and then pack 3 complete changes of outfit (2 additional running outfits + 1 post-run outfit) in individual gallon zip bags so dirty clothing can be sealed in the bags. Also store all your safety items (see 'Safety' list below) in a single zip bag so you can easily grab it for the Safety Briefing inspection. A towel is indispensable - you can roll it up as a pillow, you can use it as a blanket if you get cold, you can sit on it when you are sweaty, you can use it as a barrier when you're changing - and the list goes on. I swear by the Orange Mud Transition & Seat Wrap Towel.